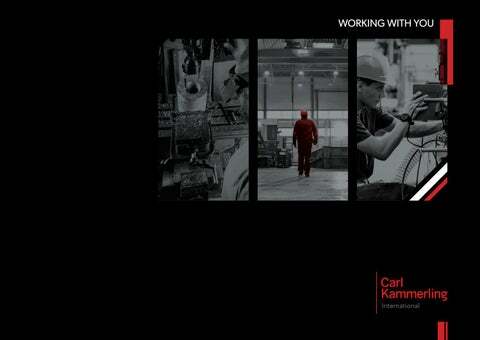 WORKING WITH YOU For over 100 years, C.K has been at the forefront of manufacturing, producing high quality products that meet the most demanding needs of trade professionals. C.K products are engineered to offer leading performance, durability, accuracy and strength, all of which are key requirements for professional results. Not content with simply conforming to all relevant international standards, C.K work with design engineers to develop new materials, manufacturing techniques and finishing treatments to push the boundaries of performance. Portfolio of brands that consumers trust. C.K Redline side cutters viewed as the best quality. C.K dextro screwdrivers tougher than ISO requirements. VDE certified. A one stop shop solution covering all needs. Marketing investment of over ÂŁ1m. C.K Number One Brand for Electricians in the UK; Number 2 in France. 98% availability on over 3,000 products. Workout with end users to understand their requirements. Next day delivery in UK/ROI. 2 days at an average to the European continent/5 days to the rest of the world. Developing products with unique features and benefits. Prototypes sanity checked by our trade panel of experts. LESS EFFORT TO MAKE A CUT, UNSURPASSED CUTTING PERFORMANCE. Repetitive work with cutters can add strain on the hand and wrist and cause painful pressure points in the palm. The C.K Redline VDE cutters require 18% less force to make a cut. *Average force required over 6 cuts. Test carried out using 160mm side cutters. VPA test results using 1.6mm medium/soft wire (12/05/16). Test in accordance with DIN ISO 5749, edition 09/06. VDE CERTIFIED CUTTERS FOR THE ULTIMATE IN SAFETY. Risk of electrocution from unexpected live circuits. VDE approved, guaranteeing every single plier/cutter is tested to 10,000V. AVOID DAMAGE TO ELECTRONIC COMPONENTS WITH OUR RANGE OF ESD TOOLS. Rapid discharge of electrostatic energy can cause damage to electronic components, particularly during the assembly and maintenance of electronic equipment. C.K ESD tools ensure that electrostatic energy is released in a controlled manner thereby preventing sparks from developing. NEVER LOSE VALUABLE SCREWDRIVERS AGAIN. Misplacing screwdrivers can be costly and inconvenient, resulting in wasted time. The glow screwdrivers are highly visible in low light conditions. Avoid replacement of lost tools and potential expensive damage caused by tools left in sensitive areas of production. KEEP SCREWDRIVER CLEAN TO AVOID DAMAGE AND EARLY REPLACEMENT. A greasy screwdriver handle can cause an injury or damage from unexpected slippage. In often greasy, dirty and difficult conditions, having wipe clean shatter proof handles combined with premium grade German blades results in long life performance. USE THE RIGHT TOOL FOR THE JOB FOR EFFICIENT WORKING. Standard long blade screwdrivers often cannot get into confined and restricted spaces easily, resulting in wasted time. Short insulated blade allowing fast and convenient access to screws/fixings in confine spaces. VDE CERTIFIED SCREWDRIVERS FOR THE ULTIMATE IN SAFETY. VDE approved, guaranteeing every single screwdriver is tested to 10,000V. KEEPING STORAGE SOLUTIONS TIDY PROVIDES A FASTER AND MORE EFFICIENT WAY OF WORKING. A disorganised tool storage solution results in wasted time looking for the right tools. The Pro Tool Case is the ultimate bag to organise and protect your tools. It helps quickly identify the right tool for the job and/or any tools missing - vital in safety critical environments. Risk of injuries using inadequate tool storage solutions i.e. bags with handles when accessing elevated areas. The Technician’s Rucksack Plus provides a safe solution when accessing elevated areas while carrying a full toolkit. The shoulder straps free up the use of hands for increased safety and efficiency. MORE THAN 12 MILLION WORK DAYS LOTS OVER BACK RELATED INJURIES. 53% of all reported back disorders occurred from manual handling, lifting and carrying activities. Designed to cope with all terrains and larger tool kits, the Technician’s Wheeled Case provides the perfect solution to transport a fully loaded toolkit effortlessly. INCREASE PRODUCTIVITY THROUGH EFFICIENT CABLE PREPARATION. Armoured cable glanding can be difficult, time consuming and dangerous using conventional techniques. Armourslice strips armoured cable up to 50% faster than conventional SWA stripping methods with no risk of injuries. SECURITY SOLUTIONS Range of locks precision engineered from premium grade materials ensuring exceptional strength and outstanding reliability. TAKE THE HASSLE OUT OF CARRYING MULTIPLE KEYS AND REDUCE THE RISK OF THEM GETTING MISPLACED. Key holders can find themselves carrying dozens of keys. Keys can go missing and time can be wasted trying to figure out which key matches which lock. Kasp provides high quality key systems solutions which are tailored to individual requirements for convenience and control of access to permitted areas. PADLOCK FAILURE DUE TO CORROSION RESULTS IN TIME CONSUMING AND COSTLY DOWNTIME. Using padlocks not suitable for outdoor use can have serious implications guaranteeing high security for harsh weather conditions. The Kasp Marine Padlocks offer the advantage of long term purchase cost savings through eliminating the need for replacements for corroded padlocks. Weather resistance exceeding ISO 9227 salt spray requirements. SAFETY TOOLS PROTECTING USERS FROM INJURIES. Using trimming knives or other tools can lead to frequent injuries with exposed blades. Protects the user from injuries from open blade cuts. STRIPPING CABLES HAS NEVER BEEN EASIER. SIMPLE, FAST AND PRECISE. Not using the right tool can be time consuming and can damage cables. Essential to save time and effort, the Jokari cable strippers allow precise and damage free stripping. PR, SOCIAL MEDIA & ADVERTISING. 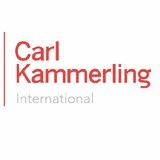 Carl Kammerling International makes a significant investment in getting the message across to the end consumer. The brands are supported in trade and retail magazines, offline and online, across different industries including electrical, construction, engineering, industrial etc. Product news and videos are widely available across a number of social media channels. CK TV on Youtube & Vimeo are easily used for training & demonstration. WORKING WITH YOU We believe there are some great opportunities for CKI products to support you. We are delighted by the quality and service. The beginning of an exciting long term partnership. We have used C.K products for many years and are very impressed with their quality and performance. END USERS TESTIMONIALS We work with some of the world’s biggest companies and brands. Here are some testimonials of why we have been chosen by our customers as a supplier of hand tools, fabric tool storage and security products. Other brands and companies that have been using products from the CKI range.